How do you stay entertained on a plane? He was a burly chap, traveling with his wife and two teenage daughters, but what really struck me during the flight was how he kept himself entertained. His wife and kids read magazines and watched the in-flight TV - like the majority of the other passengers on board. But the Dad opened up a tin box of artist pencils, and began sketching. Later on in the flight, he brought out some modeling clay and played with that. It wasn’t revolutionary, but he seemed so content and happily engaged. It made me wonder if these were techniques for a nervous flyer to stay calm, or if he was just an artistic guy that enjoyed whiling away his flight time crafting and creating. I was a bit in awe of him. These days Justin and I spend most of our time keeping Rosie entertained on flights, but when she’s sleeping we love to play backgammon on a travel board that has magnetic pieces. We’re also partial to enjoying a spicy Bloody Mary or two, which is apparently one of the tastiest drinks to enjoy at 30,000 feet. How do you keep yourself entertained on a flight? Have you seen another passenger doing anything particularly inspired? The best travel gear we've found for babies and toddlers. 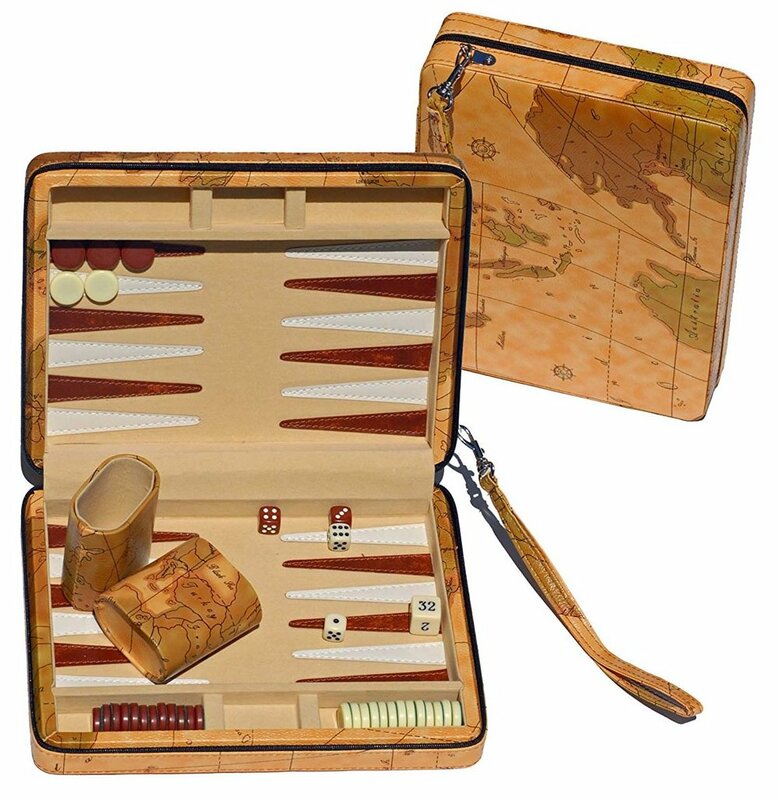 Our much loved travel backgammon board - which was a gift to us from dear friends. Such a good present for board game and travel loving people!